Build-A-Bear is proud to partner with national nonprofit organizations and international charities that support our ongoing mission to add a little more to life by sharing hugs and making days a little brighter for those in need. Barnardo’s believes a child’s future should never be defined by their past. Over the last 150 years, Barnardo’s has witnessed children’s incredible ability to transform their lives no matter what they have been through. And they know that when people believe in children, they start to believe in themselves. Since 2015, Build-A-Bear has donated more than £100,000 and 10,000 furry friends to support Barnardo’s. Established in 1962, Barnardos Ireland works with vulnerable children and their families in Ireland. Barnardos Ireland also provides training and knowledge resources to childcare professionals, and campaigns for the rights of all children in Ireland. Build-A-Bear is proud to provide funding and furry friends to support the mission of Barnardos Ireland. 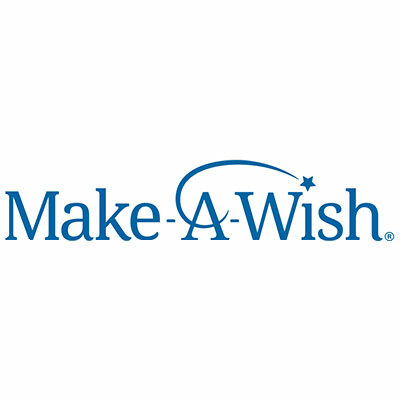 It’s the vision of Make-A-Wish to grant the wish of every eligible child diagnosed with a critical illness. A wish is granted every 34 minutes in the U.S. and its territories. Build-A-Bear has raised more than $1.4M for Make-A-Wish, to date, helping to grant more than 325 wishes. We are honored to help make wishes come true in our Build-A-Bear Workshop stores across the country. Since 1997, children and families around the world have made furry friends and memories at Build-A-Bear Workshop. From the first day of school to blowing out candles on the birthday cake, our furry friends have been right there by children’s sides. They also have given hugs after a scraped knee or a visit to the doctor. When a child is sick, scared or lonely and reaches for their teddy bear, Build-A-Bear is there. We believe in the power of hugs and the simple comfort of having a furry friend by your side. Because of this belief, Build-A-Bear and Build-A-Bear Foundation focus our giving efforts on the well-being of children. It’s part of our Foundation mission: to add a little more to life by sharing hugs and making days a little brighter for those in need. With its mission to provide a safe, supportive place where children and youth can experience new opportunities, overcome barriers, build positive relationships and develop confidence and skills for life, Boys and Girls Clubs of Canada has been serving youth since 1900. Build-A-Bear is proud to provide funding and furry friends to support the mission of Boys and Girls Clubs of Canada. The mission of Marine Toys for Tots Foundation is to assist the U.S. Marine Corps in providing a tangible sign of hope to economically disadvantaged children at Christmas through a variety of initiatives. Since 2015, Build-A-Bear has raised nearly $400,000 and donated more than 35,000 furry friends to Marine Toys for Tots Foundation. For more than 150 years, Boys & Girls Clubs of America has enabled young people most in need to achieve great futures as productive, caring, responsible citizens. Today, 4,300 Clubs serve 4 million young people through Club membership and community outreach, providing a world-class Club Experience that assures success is within reach of every young person who enters their doors. Clubs are located in cities, towns, public housing and on Native lands throughout the country, and serve military families in BGCA-affiliated Youth Centers on U.S. military installations worldwide. They provide a safe place, caring adult mentors, fun and friendship, and high-impact youth development programs on a daily basis during critical non-school hours. For more information about our National and International Partnerships and being a part of the Build-A-Bear mission, please visit our Charitable Giving FAQs.